I had been to Ocean Park twice already, but both times were back in 2011. Since then it has changed, several new attractions have been added – from new animal houses over new rides to new areas in the park. When I first visited, back in May 2011, it was a cold and rainy day. Not many people were in the park (at least in the beginning, it got busier in the afternoon) and we started by visiting the animal houses. We spent quite some time in the then newly opened Grand aquarium, watched the dolphin show, rode a roller coaster and then left. 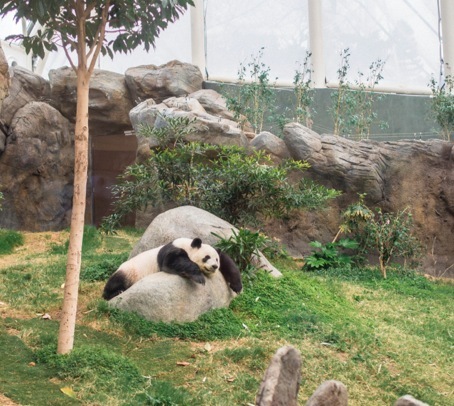 The second time, in November 2012, I visited the park with my work colleagues and we spent even more time with the pandas (big and small), ate lunch in the restaurant inside the Grand aquarium and went on a few rides on the hilltop. We went onto the water ride, with the fake tree logs, as it was a hot day and we wanted to cool down. The Rainforest area was just opened, but the ride did not work on the day we visited. So you can imagine my surprise when I came back in January 2014 and realised that the park has expanded in size (and the entrance fee is now 320 HKD) but it is totally worth it. There are a lot more attractions and even if you start early and arrive at 10am when the park opens, you won’t be able to see every show and take every ride. 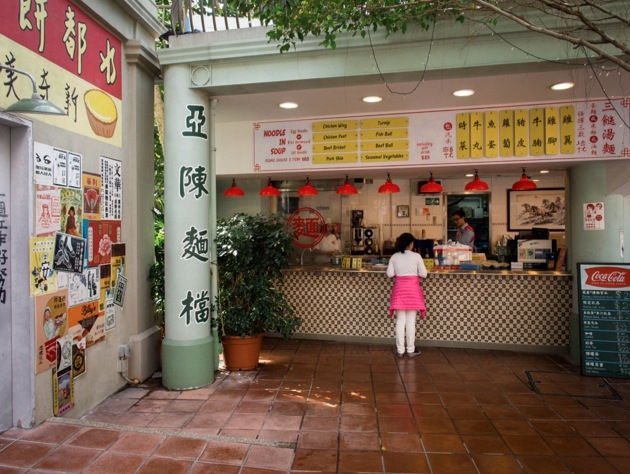 We started with a visit to ‘Old Hong Kong’, which is the park’s tribute to the Hong Kong of the 50s, 60s and 70s. 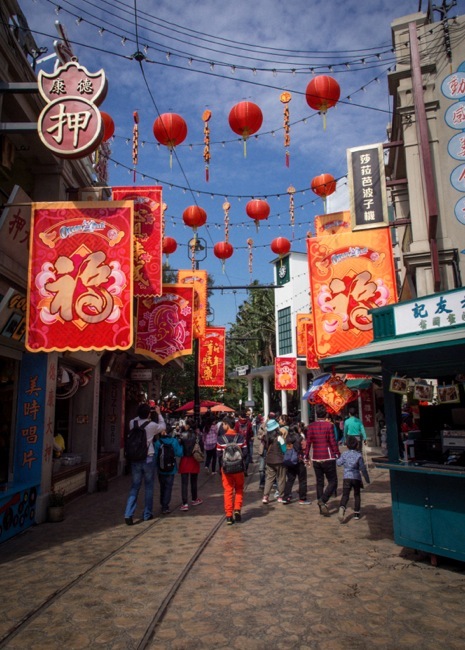 It is a replica of a city street of the old town to bring back the memories and cultural heritage of the old days of the territory. This area opened in early 2012 to commemorate the 35th anniversary of the park. The busy street scenes reflect the many aspects of life in the old days, its food, fashion, transportation and entertainment. 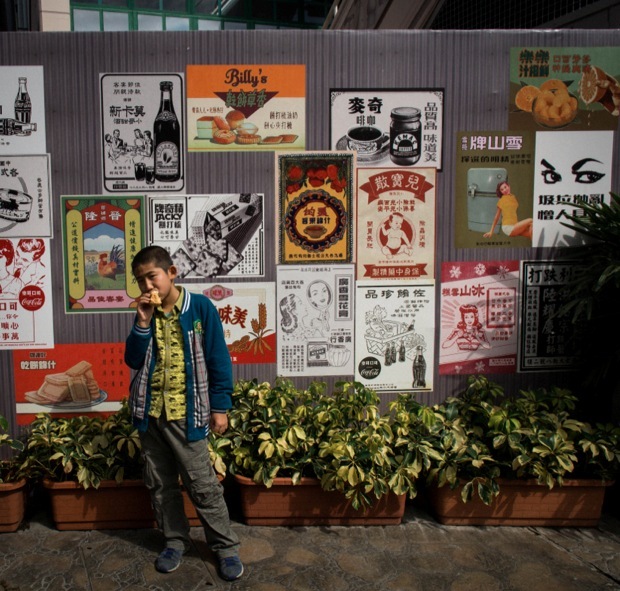 There are stalls selling traditional food items but also the classic egg tarts, siu mai dumplings and bowls of sweet red bean soup. It’s a nicely arranged area, but actually you can still see of old Hong Kong in the Hong Kong of today, so you don’t need to go to Ocean Park just for that. But what you should go for are the different exhibits and rides, as they are real fun. I always enjoy riding with the cable car to the top. 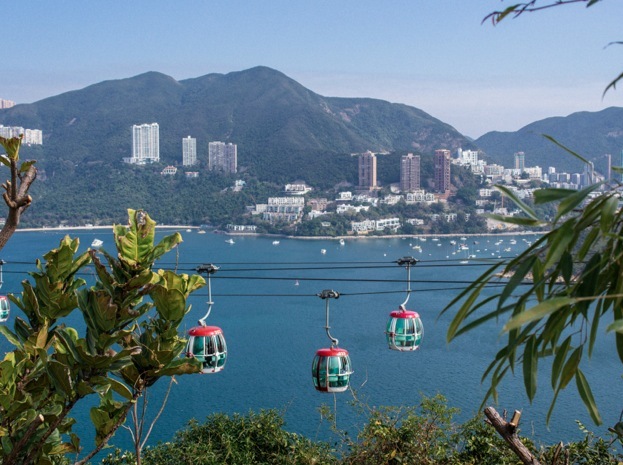 It is a nice ride, with great views around Deep Water Bay. Once we arrived on the top, we rode on the Hair Raiser (if you take the one rider only lane you don’t need to queue long). This floorless rollercoaster offers 4G turns, a Zero G loop and speeds of up to 88kmh. It is quite fun to ride! We then walked to the Polar Adventure. This is a new area that opened in July 2012 and combines Arctic and Antarctic themed environments with a family coaster ride. We first explored the North Pole Encounter, which includes walruses, spotted seals and northern sea lions. It is really interestingly done, first you walk next to the seals and then you go downstairs and underneath their tank, so you can see them from all the sides. What fascinated me the most was the walrus – you can get really close to him. 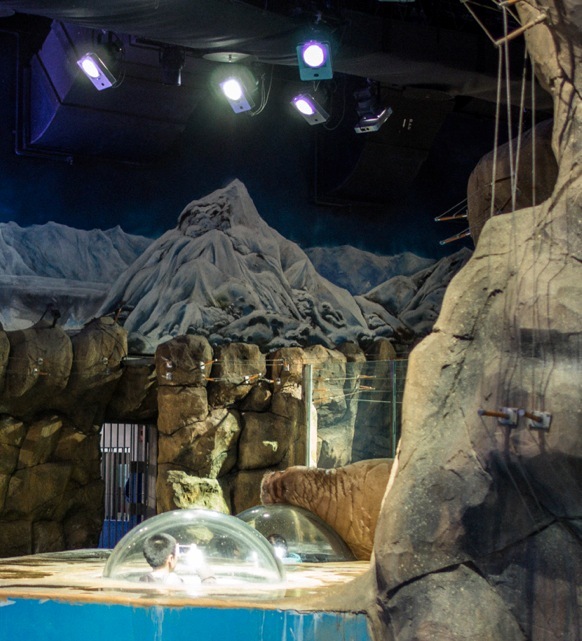 There is a small cave that visitors can climb into and there are two areas with glass bubbles that you can climb into and look into the walrus habitat. When we went there and I climbed inside I almost jumped back. The walrus was so close to me! He just lay on top of the (very strong) glass bubble and looked down. Clearly it must have been interesting for him too, to see what’s happening in the cave! 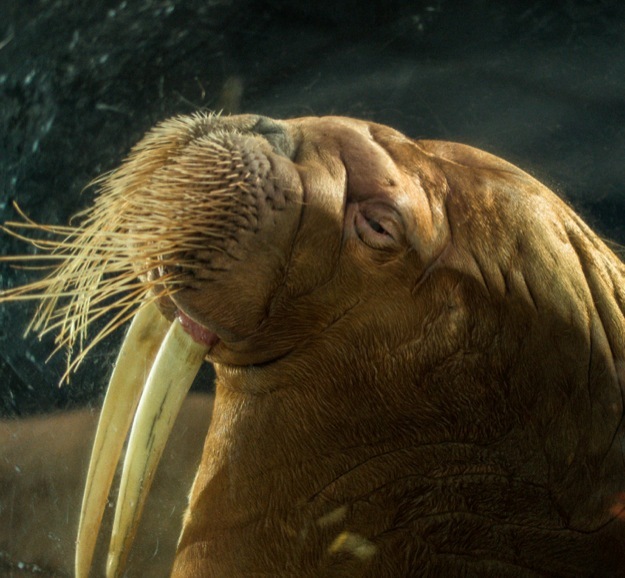 The other walrus was much more active – he was swimming rounds in his tank. He looked so light and was floating, it’s incredible when you see how big these animals are. We left the North Pole and went to visit the South Pole – where you can watch southern rockhopper and king penguins behind floor-to-ceiling glass. This part is kept between 8-10 degrees Celsius and is really chilly. We didn’t stay that long, we just watched the penguins for a little bit and then left. On the way out, next to the gift shop, is a small area where arctic foxes are kept. That part was even colder! Next we explored the Rainforest area. We started with the Rapids water ride, where we shared a rubber raft and floated along the twisting river beneath the Rainforest Expedition Trail – needless to say we got soaking wet.There are also many moments where you get drenched. Getting wet is almost unavoidable, even with the raincoats that the park hands out. Other park visitors get to station themselves at vantage points and aim buckets of water and even water guns at unsuspecting rafters. The expedition trail next to it is a walk-through attraction. Highlights include the weirdly adorable pygmy marmoset, the world’s smallest monkey, and the capybara, the world’s largest rodent, the capybara. After the Rainforest we walked around to visit the Adventure Land, before going to see a show at the dolphin theatre. Our final stop before heading back down (this time with the fast train) was the Sea Jelly Spectacular – a ballet of dancing sea jelly with lots of different colours. 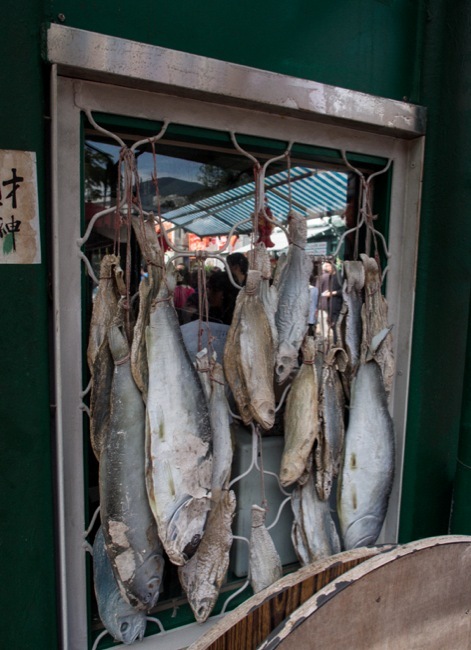 Finally, to round up the day – we visited my old time favourites. 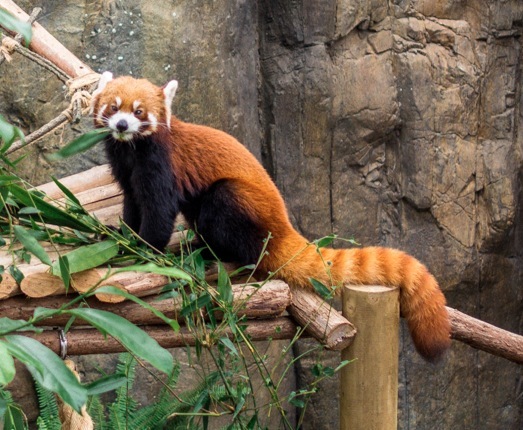 The very active red pandas who were just fed and the giant pandas who were too lazy to move around! We visited the Grand Aquarium and then it was showtime – for the Symbio show. 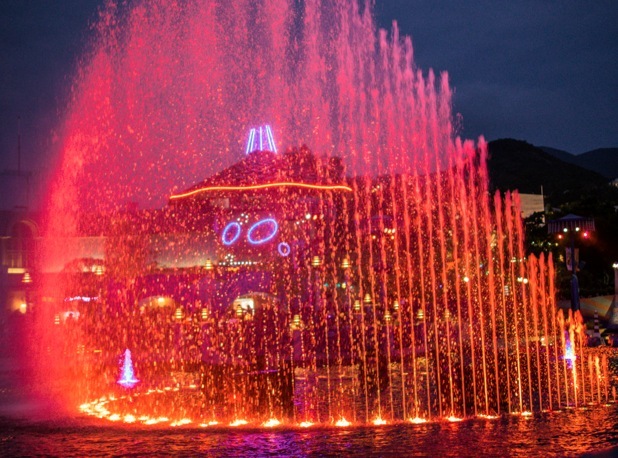 This is Ocean Park’s signature night show performed every day at the Aqua City Lagoon. 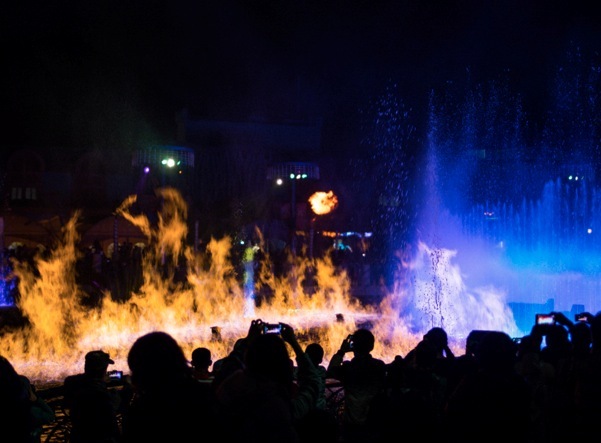 The circular fountain of the lagoon becomes a projection screen for a show filled with dragons. What surprised me the most were the fire effects – on a pool of water. It was really well done! I’m sure the next time I’ll visit Ocean Park it will have changed again. Two new attractions “Shark Mystique”, featuring over 100 sharks and “Adventures in Australia”, with eight koalas and other animals, will open in mid-2014 and the fourth quarter of 2014 respectively. 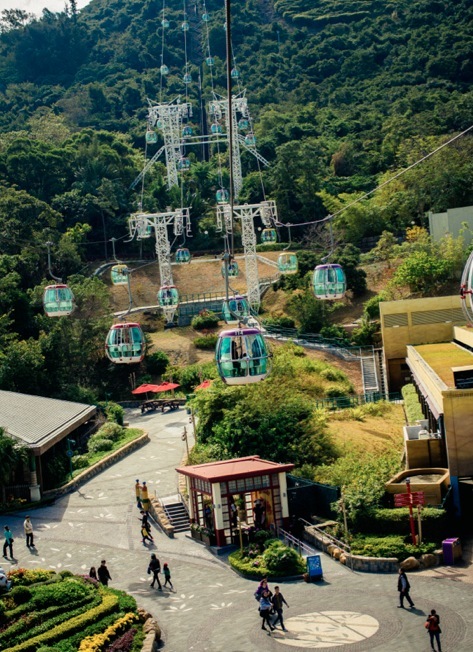 Also, the government recently announced a loan of HK$2.3 billion to Ocean Park to build a new all-weather attraction, Water World, at Tai Shue Wan. There are 25 attractions planned including a pool with natural beach, 13 giant water slides, the world’s longest lazy river and a hot spring. Thanks, yes I saw that you also visited the Polar world and pandas. It seems that you were more lucky, the animals were all more active when you went – I guess you did the clever thing and waited for the feeding time! We just went during the day and that’s why most of the animals were so lazy! My favorite part of Ocean Park was the pandas. I never understood what the fuss was about previously, but pandas are so much more cute in person than on screen. 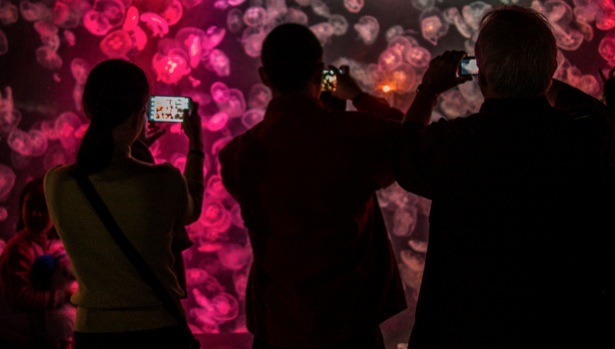 I also enjoyed the jellyfish exhibit. 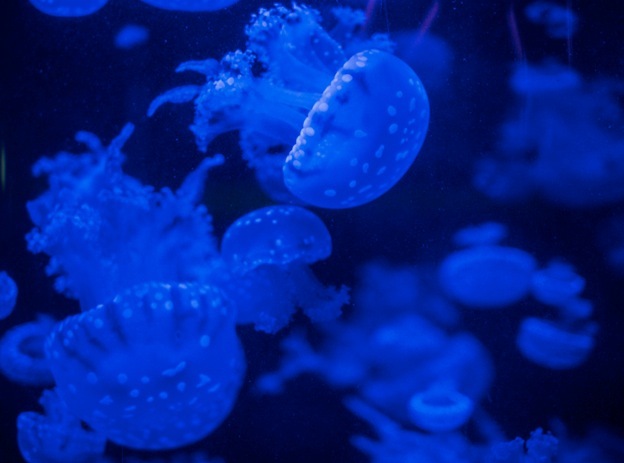 I hope to swim with the stingless jellyfish one day. I saw it on Survivor Palau and thought that was super awesome. That’s true – but often the pandas are soooo lazy that you don’t see much happening. They either eat or drink :) I’d be too scared to swim with jelly fish. 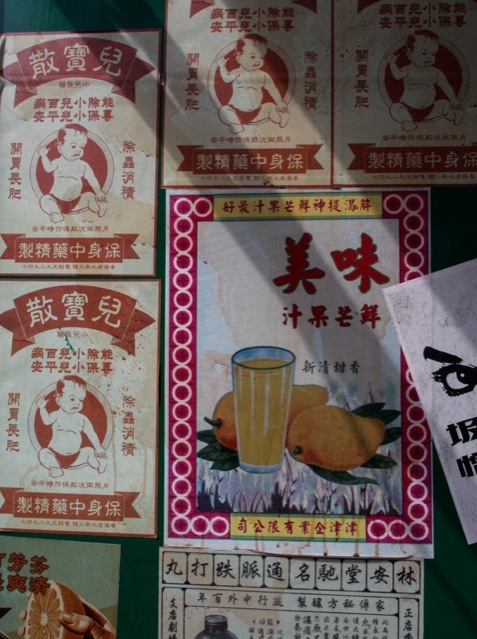 I’ve been stung a few times (but not by any dangerous ones) and absolutely hated it. I’d rather swim go diving in the grand aquarium (if I knew how to dive, that is). Thanks for your comment Kelly!